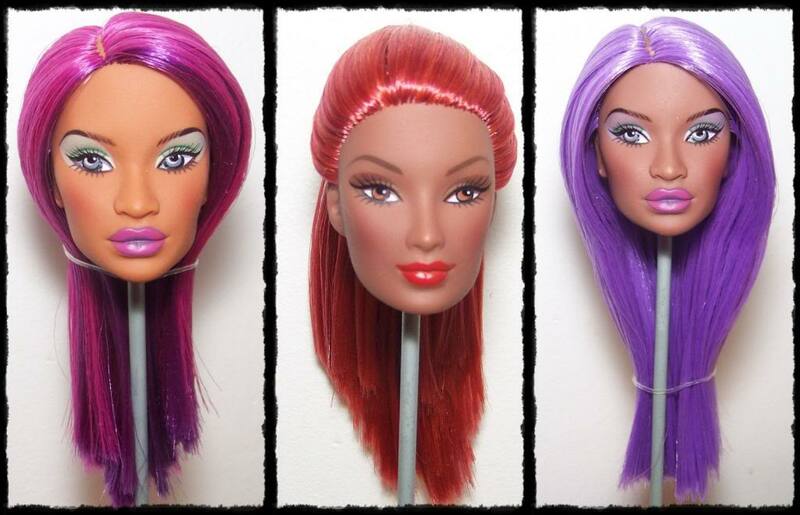 Bought 3 Janays and 1 Alysa for $6 each plus $4 postage from Ebay seller: MushroomStreet. 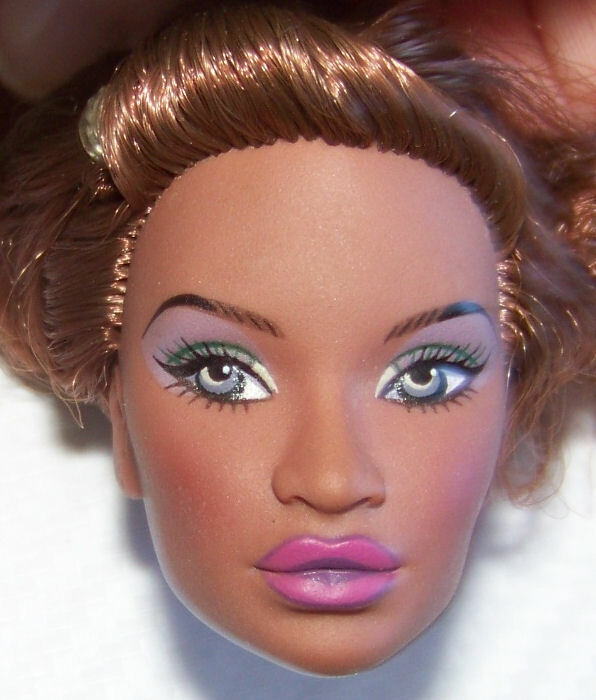 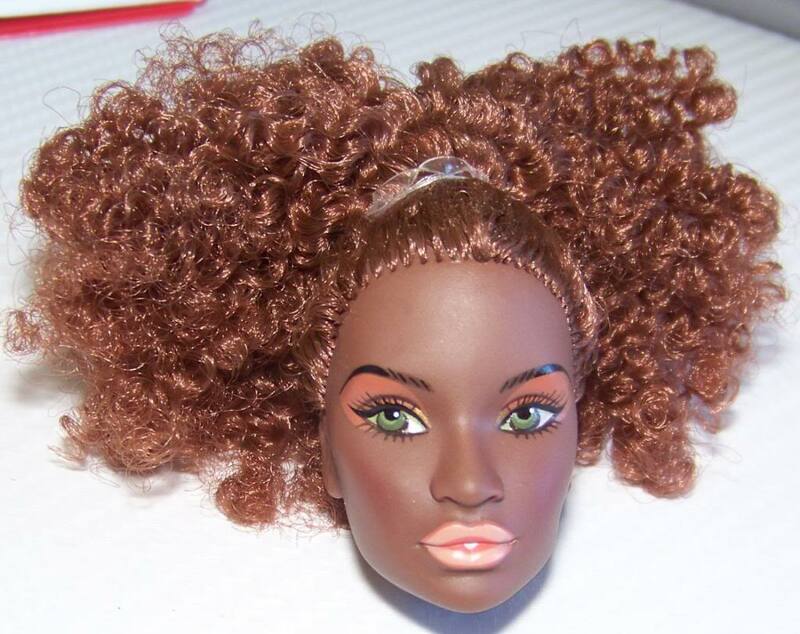 The heads are barbie sized, made of hard vinyl and came with their head anchor still inside the head. 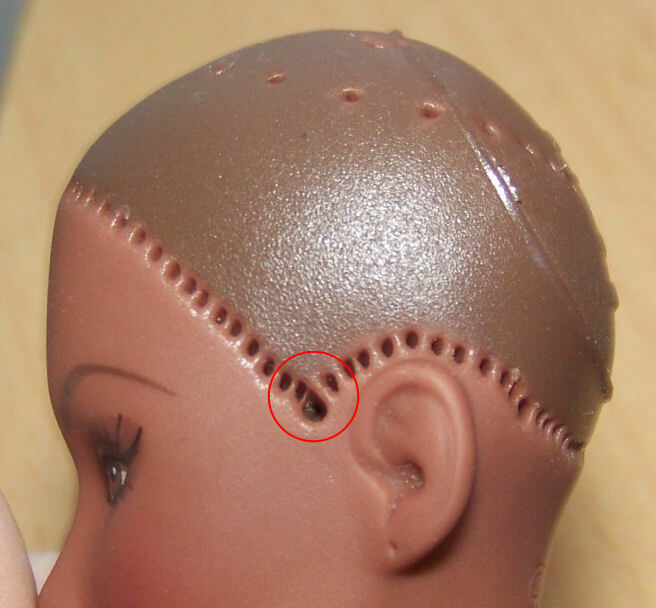 The ears are not pierced but there is a place marker for an ear hole, heads are marked “integrity 2001” on the neck. 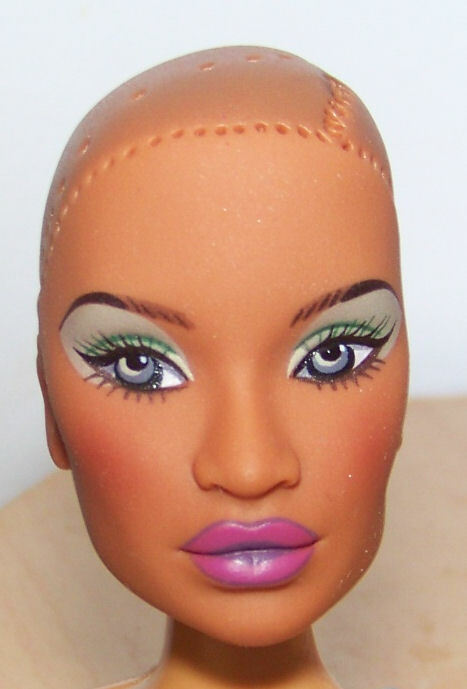 Neck hole is standard barbie size. 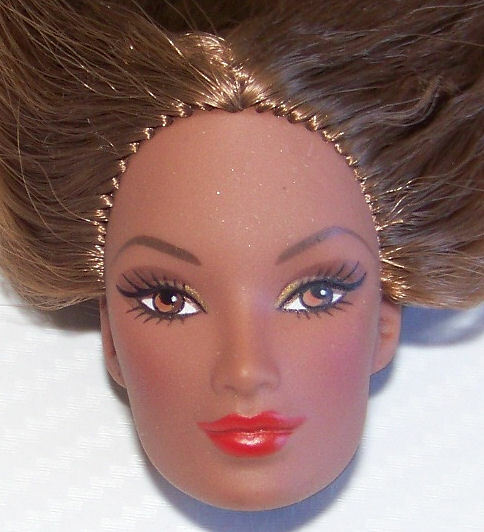 The faces are gorgeously sculpted with slight matte texture to the face that looks and photographs like real skin. 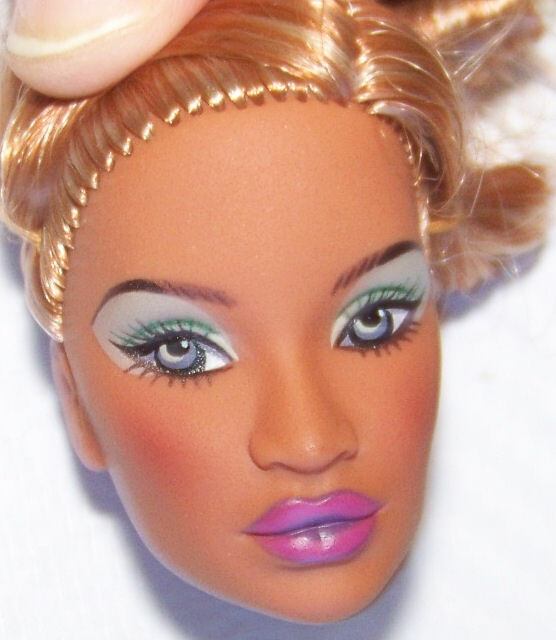 The eyebrows have hair detail and the blushing is very nicely blended. 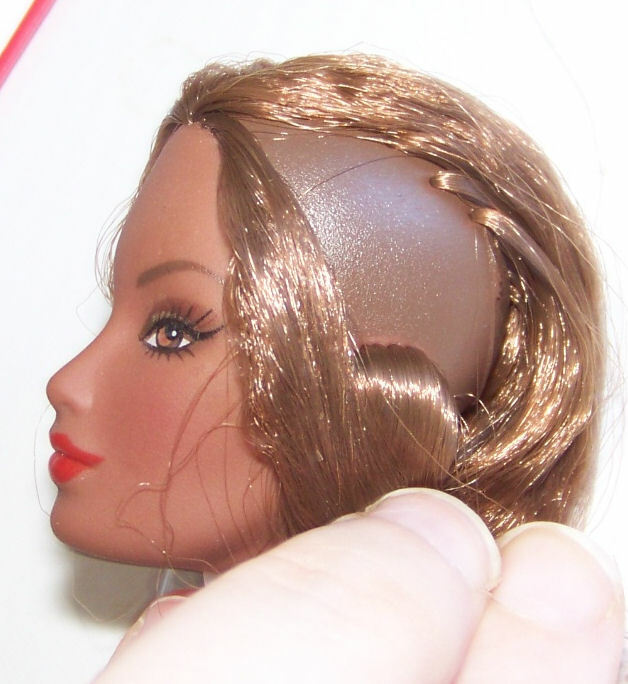 The hair, however, is terrible: unbrushable nylon, very thick in each plug but thinly rooted across the scalp. 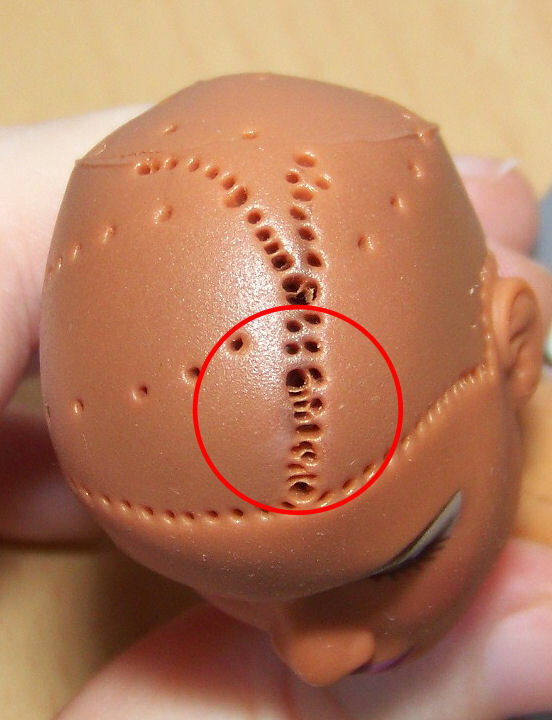 I removed the hair from 3 of the 4 dolls but I’m unsure if they’ll be re-rootable due to the large holes in their heads. 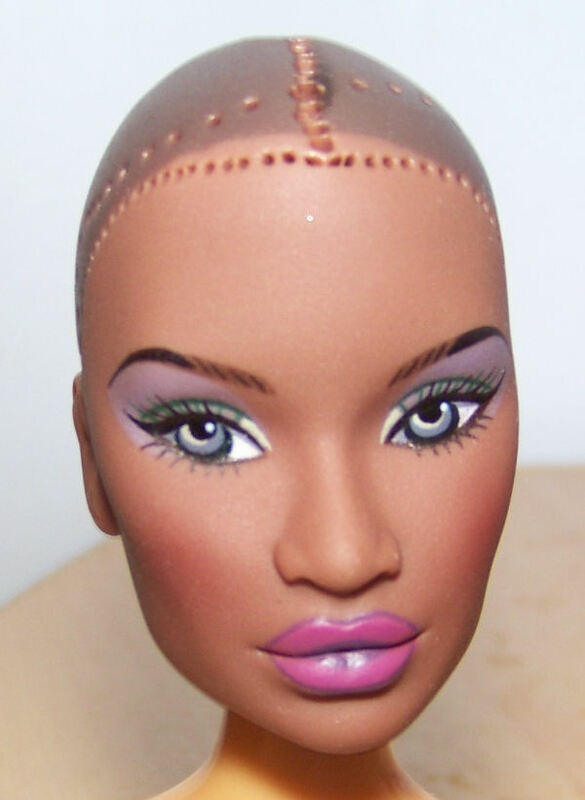 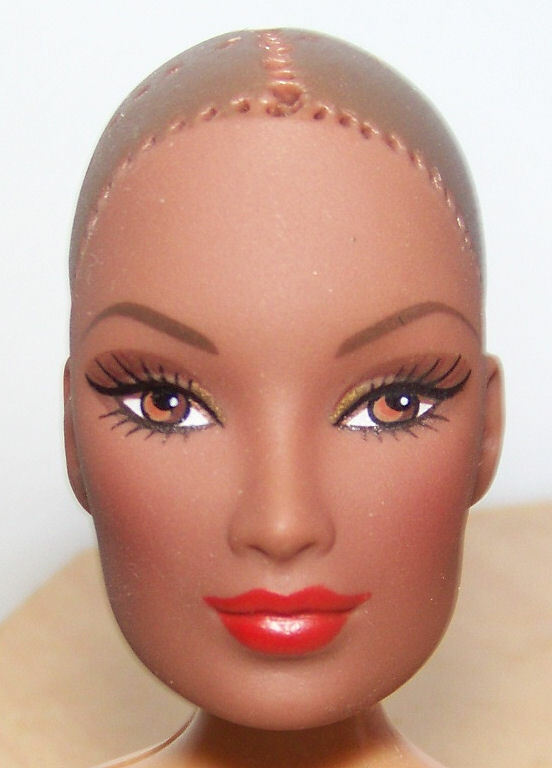 Head circumference is 3 inches (wig size 3). 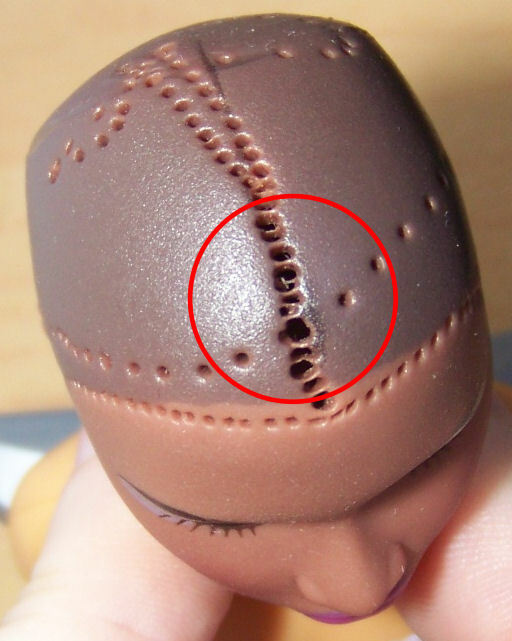 This entry was posted in Tutorials and tagged doll, integrity_toys, janay, rerooting, review on September 14, 2013 by saffy.